What about a back pain that occurs or is aggravated when you cough? This article aims to provide answers to your questions about the pain in your back that comes when you cough and what is its implication to your overall health. By looking into this subject, you will be able to make better decisions in addressing the said problem. This discussion finds its importance in such fact that while there is a wide list for sources on back pain-related problems, only few have talked about back pain when coughing. 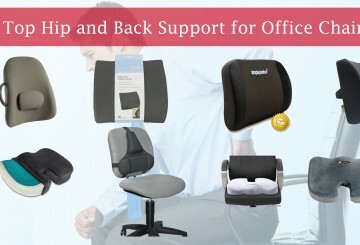 Back pain is a common condition suffered by most adults anywhere in the world. Studies show that about 80 percent of the population experience back pain at some points in their lives. Back pain is viewed as our body’s way of telling us that something is wrong with the body, but that does not mean it is life-threatening. While it may indicate a serious condition, it could just be that your muscles or ligaments were overstretched or you slept in the wrong position. 1 Why does my back hurt when I cough? 2 What does painful coughing indicate about my back health? 3 Is there anything I can do to ease Back Pain When Coughing? Why does my back hurt when I cough? There are many possible reasons why your back hurts as you cough. If you are dealing with cough alone and incidentally your back hurts, you might want to check if your cough is dry cough and if you are overdoing it. At times, when you cough excessively or when you force yourself to cough, you will definitely feel a pain in the back. If the pain goes away as your cough gets better, then there is nothing to worry about. However, in case you cough even just to clear the throat or in the absence of forced or excessive coughing, your back hurts, then it could be a problem on your back. When you have an existing back condition, coughing is more likely to aggravate the pain in your back. This could be attributed to several factors that include the condition of your spine, the muscles and nerves in your back, and lungs. The succeeding section will particularly discuss back-related problems that could be the cause of your pain in the back when coughing. What does painful coughing indicate about my back health? 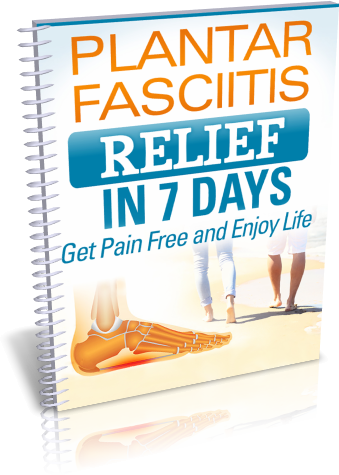 When your back hurts as you cough or when the pain is being aggravated, it is time to dig deeper and look into what could possible be the reason behind such pain. The following are the primary causes of back pain when coughing. Our backs are made up of muscles that connect to nerves all over the body thereby allowing wide range of motion. When we involve ourselves, especially our backs, in a lot of work that strain the back muscles, it may result to a back strain. The more common area affected by muscle strain is the lower back. The pain arises from the tears in the tissues that make back less stable. This condition is more common to people engaged in highly intense activities. The pain from low back strain may be felts in the back, chest, shoulders, and other parts of the body. The pain arises or is aggravated by coughing. Another thing to consider when you feel back pain when coughing is a spinal disc herniation or disc prolapse. Herniation arises when an intervertebral disc bulges out pressing on the nerve root. The nerve then becomes irritated and because of the sudden pressure brought by the herniated disc, pain occurs. This condition is more common in the lower back. So when you feel a lower back pain when coughing, it could be a herniated disc. Herniated disc may be caused either by accident or an incidental change of aging. The pain from the back may radiate to the legs and the sharp or stabbing pain worsens as you cough. So when it is a low back pain that occurs when you cough, it is more likely a herniated disc, which could be confirmed by a neurological examination. Closely related to herniated disc is sciatica. Sciatica is actually considered as a symptom of a herniated disc. Sciatica refers to the pain that radiates along the sciatic nerve that runs from the back, through the back of the thighs and knees, and down to the legs and feet. The pain normally affects one side of the body and comes with numbness and tingling sensation. Sciatica is caused primarily by nerve compression. Nerve compression may be a result of lumbar spinal stenosis, spinal infection, degenerative disc disease, and herniated disc. Sciatic nerve pain worsens upon sneezing or coughing. 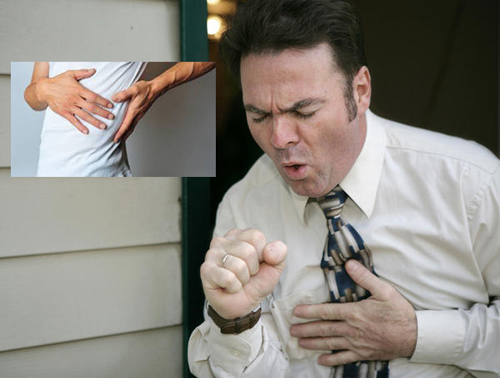 One life-threatening cause of a back pain when coughing is a lung cancer. The thing about lung cancer is that its symptoms only become apparent in its advance stage. So when you feel an upper back pain when coughing, you have to take double measures, because lung problem is manifested by a pain in the upper back. A persistent and worsening cough is among the symptoms of lung cancer. Acute bronchitis is an inflammation of the bronchial tubes in the lungs caused by a viral or bacterial infection. It is a complication of a cold or flu characterized by its symptoms that include dry cough, fever, and back pain aggravated by coughing. Is there anything I can do to ease Back Pain When Coughing? In addressing the cause of back pain that arises as you cough, it should be noted that in more serious conditions, you will have to see your doctor. However, in less serious cases, there are some methods you can do to ease and treat the pain. The first thing you can do when you feel back pain when coughing is to give yourself a rest as it could be a result of some strained muscles. You can also apply cold compress that reduces swelling, while heat application soothes the nerves and muscles. Engaging yourself in some stretch and light exercises also help hasten the recovery process. For acute bronchisits, apart from over-the-counter medication, honey, ginger, turmeric, and oils like eucalyptus and oregano may be of big help. Our back is made up of muscles, tissues, bones and nerves, among many others. Our day to day activities necessarily involve our back and any damage to the same can have an adverse effect not only to our health but also our capacity to move. This is the reason why a back pain when coughing should be taken seriously in order to prevent such worse conditions.